Each and every one of us are faced with dozens of new names, new brands and new products on a daily basis and it is getting harder and harder for us to store all that information in our heads. So, what can merchants do to help them stand out from the crowd whilst also retaining their customer base? The answer is a simple one – personalized Gift Cards. For some consumers, the idea of giving a gift card to someone may appear to be a tad impersonal, however according to the latest research, they are also the single most requested gift. And why wouldn’t they be? With a gift card there is no more unwanted pairs of socks, no more strange perfumes and no more weird statues for your mantelpiece. A gift card is only ever used for something that is truly wanted and can be almost anything you desire. 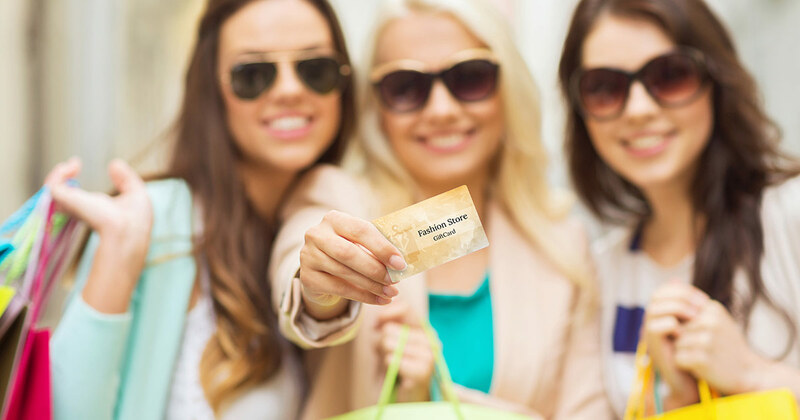 A recent study found that “overspending the amount of a gift card is the new normal”. In 2016, 75 percent of consumers with gift cards spent nearly $30 more than the original amount loaded on the card when redeeming their gift. But perhaps the most important job that gift cards do for businesses is creating new customers and having those new customers spread the word about your business. There may be no more difficult and crucial task for a business than getting new customers, and anything that helps to spread word of mouth can be invaluable. So whether you’re a local corner store owner looking to grow your customer base, a freelancer trying to get the word out on your new business , or simply opening a cafe, gift cards are the perfect way to connect with your customers and offer a simple, effective way for them what they want most — your business. At myPOS, we are all about helping new and existing businesses reach their full potential, which is why we have have created a fully customisable, easy-to-use and business focused private label GiftCard service that helps you grow your margins and your customer base. Creating a brand identity that your current and future customers can recognize is incredibly important. Many businesses struggle with creating an unique identity that sets them apart from their competitors. Which is why myPOS allows you to choose from a massive collection of card-design templates which you can customize and add your company address, name or even a unique message to make you stand out. The more unique your brand an message, the easier it is for customers to find you again. Every client who uses your myPOS GiftCards will need them for different reasons and require different amounts to be loaded onto them. Thankfully, no matter how much or how little your customers require, loading the cards is simple, fast and done through your existing multi-functional card reader (browse some options here). All they need to do is tell you how much they need on the card and with a few swipes and button presses, they have the perfect gift ready to go. Giftcards present a great opportunity to connect with your customers and offer a simple, effective way for them to share your business products or services. You are guaranteed repeat visitors, something that every business around the world is trying hard to achieve. So, if you believe that your business is worth revisiting regularly and you would like to offer your customers something truly rewarding for everyone involved, then look no further than myPOS GiftCards. This entry was posted in Tips and tagged GiftCards. Bookmark the permalink.